Resort Spas in Hawaii are some of the most extravagant and spectacular spas in the world, and I’ve frequented quite a few of them! But, if you’re on a budget, there’s nothing like the sticker shock that comes along with even the most basic spa treatments. A 50-minute massage at a five-star resort can cost upwards of $250, and a 90-minute massage will set you back about $350! As a compromise, I like to stay at the resort and go local when it comes to spa treatments. That way, I save money and get to contribute to a small business — it’s a win-win for both of us! A Ala Hawaii Oceanfront Massage and Spa: If you try to book an oceanfront massage at one a Big Island Resort, you’ll likely pay even MORE than the typical resort spa price. But, we’ve found a spa that offers oceanfront spa services for reasonable prices right down the road from even the nicest Kona resorts. At A Ala Hawaii Oceanfront Massage and Spa, you can get that oceanfront massage experience for half the resort spa price. Try the Kona Niu Creme Body Polish (60-minutes for $99) or the Oceanfront Rejuvinator (70-minutes for $140). Many of the spa packages include multiple spa services for a set price. At local establishments, you're likely to find the spa packages for less than you'd pay at the resort. Island Spirit Healing Center and Day Spa: In addition to relaxation, shiatsu, and prenatal massages, Island Spirit Healing Center and Day Spa also offers Lomi Lomi massage, which is an ancient Hawaiian healing massage. Located in Kealakakua, the venue offers prices well below the resorts — you can get a 60-minute Lomi Lomi massage for $99. Zensations Spa Maui: Here, you’ll find a cozy day spa, conveniently located on the West Side’s lower road between Kaanapali and Kapalua. Whether you are looking for an amazing massage, a fabulous facial, a couple’s treatment, or a professional waxing service, you’ll be impressed with the venue’s attention to detail. Try the Ultra Lux Spa Body Package, which includes a Natural Dry Scrub Exfoliation Gentle Cocoon Wrap with Healing Coconut Shea Butter (20 min). While wrapped, experience a Stress Relief Aromatherapy Scalp Treatment Soothing Rose Face Massage, a Lavender Hand Mask, and a Full Body Massage Session. All for just $189. Robbie’s Maui Day Spa and Bridal Services: You can get many of the same resort-style spa packages at Robbie’s Maui Day Spa and Bridal Services as you’ll find at some of the top resorts on Maui, such as couples massage, shiatsu massage, and sports massage, but for about half of what you’d pay at the resort. Try the 60 minute Lomi Lomi Massage, 15 minute Polynesian Mango/Orange Sea Salt Scrub, and 45 minute Lavender Seaweed Facial for just $225 total! Hanalei Day Spa This little gem in Hanalei is located just steps from the sand, so you get to hear the ocean surf as you relax. Some spa treatments are even offered oceanside. Although some of the treatments are a bit pricey (still less than the resorts), we imagine the “four hands massage” is well worth the $215 for 50-minutes! If you have transportation, you can find day spas on Hawaii's neighbor islands. Don't pay resort spa prices if you don't need to! 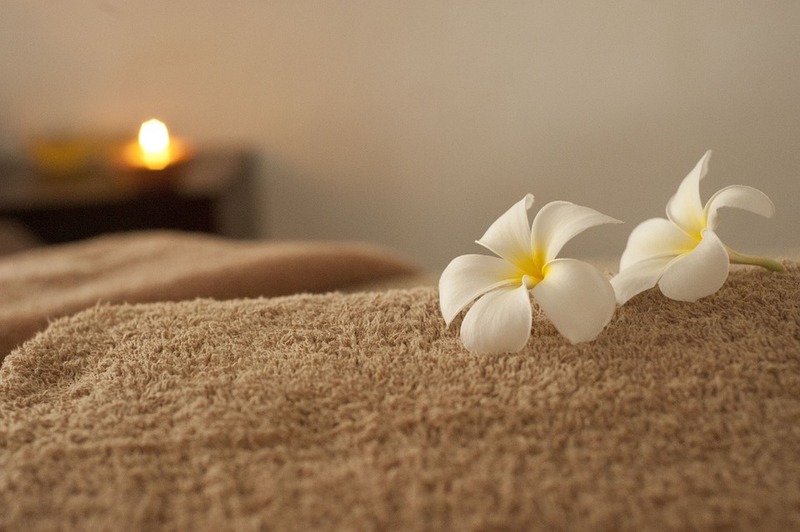 Me Time Massage and Bodywork: Of all the spas I’ve researched and tried, this is one of the least expensive deals on Kauai! A Body Scrub, Body Wrap, and 90-minute massage will only set you back $185. The same treatment at the St. Regis Princeville Resort, Grand Hyatt Kauai Resort, or Kauai Marriott Resort and Spa would set you back about $450. As a budget-conscious traveler, I’m always on the lookout for the best way to indulge my need for massage with my need to save money. So, check-out these Hawaii neighbor island spas that won’t break the bank!